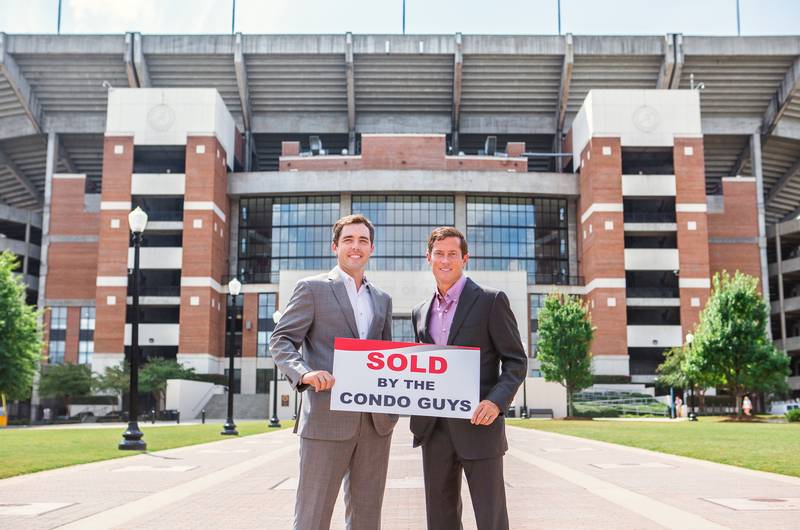 The Gray Group’s Jason Gray and John Randall are known in Tuscaloosa as “The Condo Guys.” They are your go to agents for buying and selling Tuscaloosa condos. Together they helped 135 clients buy or sell condos in 2018 alone. In a city filled with options, selecting the right property for you or your University of Alabama student can be a difficult decision. To make the process easier, we built a website specifically for Tuscaloosa condo buyers! On our new site, you can search Tuscaloosa condos and learn about every complex in town. From HOA information to safety features and amenities– we answer all of the most asked questions about Tuscaloosa condos. Click here to be directed to that site and start your search. Whether you are looking for off campus housing, the perfect game day condo, or an investment property, we are here to help. Call us to schedule a time to see Tuscaloosa condos for yourself! 205-393-3044. Click here to visit our condo site!